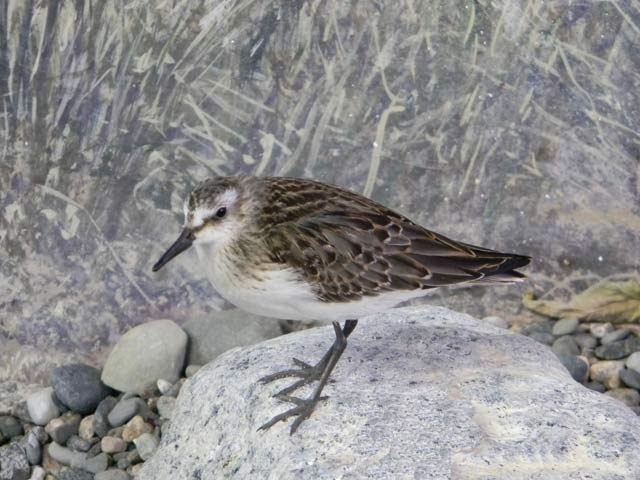 In late October we introduced a new bird into our Shorebirds Exhibit—a semipalmated sandpiper. Semipalmated sandpipers are an abundant species of sandpiper. They spend the summer breeding season in the Arctic and winter along the coasts of South America. You can see them locally when they migrate in the spring and fall. The name semipalmated refers to the short webbing between the bird’s toes which help it walk on mud or wet sand. 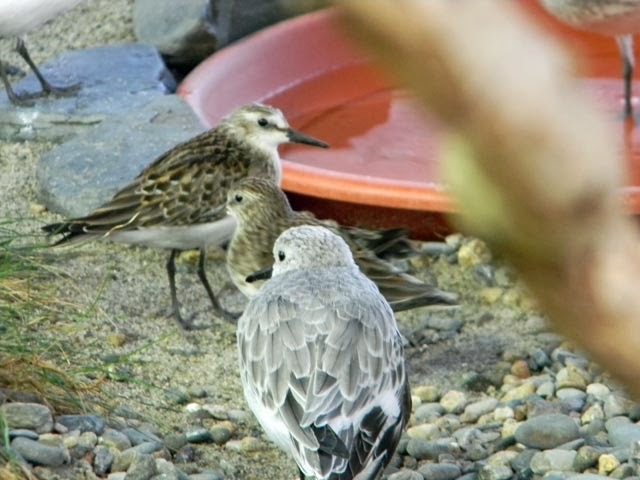 Our semipalmated sandpiper shares the exhibit with two semipalmated plovers, which can get confusing when we talk about the birds! Most of the shorebirds in the exhibit were injured and could not survive on their own in the wild. The semipalmated sandpiper was found on Mayo Beach in Wellfleet, MA, on September 1 and was unable to fly due to a broken wing. She was brought to Wild Care, a wildlife rehabilitation facility in Eastham, MA. It was determined that the bird was would not be able to survive if she was released because she would not be able to fly well enough to complete her migration to South America. We picked her up from Cape Wild Care and, after spending a month at our quarantine facility to make sure that she didn’t have any parasites or diseases that could spread to our other birds, she was introduced into the exhibit. The semipalmated sandpiper has settled right in and can often be seen resting or foraging by probing in the sand alongside our least sandpiper. The least sandpiper looks very similar to the semipalmated sandpiper but can be distinguished by leg color. The semipalmated’s legs are black whereas the least’s are yellowish. 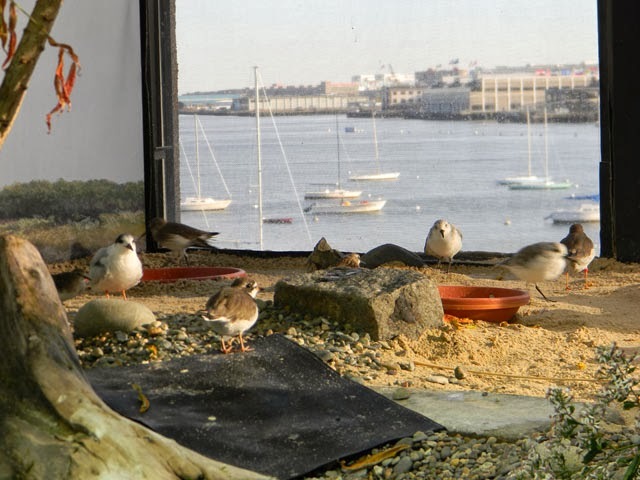 Come check out the shorebirds exhibit the next time you visit the Aquarium and see if you can spot one of our newest residents!